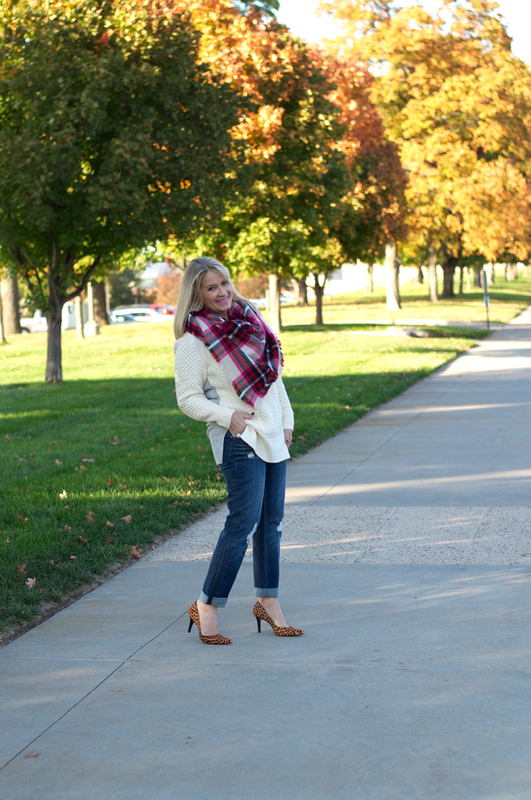 What do you get when you add a cable sweater, pink plaid, and the best pair of girlfriend jeans? The perfect casual outfit! 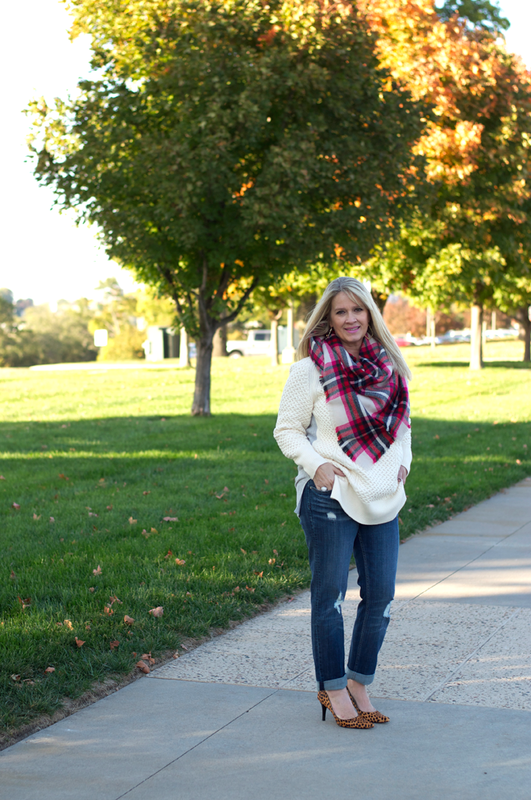 Toady is the third look on different ways to style your blanket scarf. And can I tell ya?...... who ever came up with girlfriend jeans is a genius. Not boyfriend jeans that can be sloppy and baggy, and not slim fit that has a time and place, but girlfriend.... fitted in all the right places and loose in all the others. I love these jeans and found them in the juniors department (gasp)! I usually stay out of the juniors department but I'm glad I gave them a try! 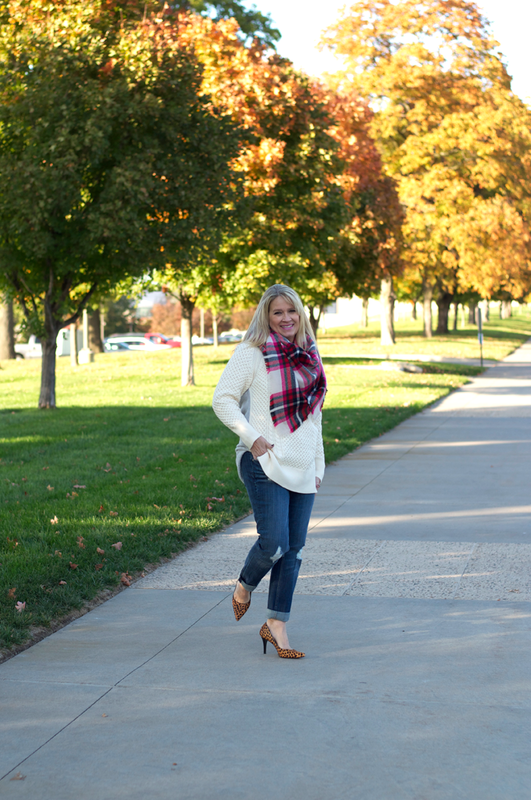 This sweater, which I shared with you here is going to be on heavy rotation this winter. I love the cable front and the solid lighter weight gray back making the seater not as heavy. Love it!